I am not new to raw food for dogs. I recommend raw feeding and have been an advocate of a biologically appropriate diet for many years. In fact, I can’t think of a single better choice an owner can make that will benefit their dog’s health. After all, aren’t whole foods better than processed foods for us? I believe deep down we all know this. However, as with so many areas of our lives, our feeding decisions don’t always reflect our knowledge. This is the raw food paradox. Sulley did phenomenal on raw food from 10 weeks until 2 years old. Constant ear infections and a tight budget caused me to put a pause on raw food for him until I could figure out a more economical way to get around having to feed chicken, the cause of his allergy. Bringing Junior home was the impetus I needed. I jumped back in with my mallet and meat grinder and started both dogs on raw food. Junior was 11 weeks old. I knew what I was doing. Raw was easy. Balance over time. Prey Model Raw suggests 80% muscle meat, 10% bone, 10% liver and offal. Got it. My self-confidence and bravado turned to insecurity and horror as Junior failed to thrive on raw. Why? What the heck was I doing wrong? I had neither the patience nor the confidence to continue and the last thing I wanted to do was hurt my new puppy. I was heartbroken and embarrassed. The advice from elders in the Mastiff community was to switch Junior back to kibble so, with my head in my hands, that is what I did. Junior improved over the course of a few days and I was left scratching my head. While those against raw feeding will say, “see, I told you so,” I never believed it was the diet that failed Junior. It was me and my lack of knowledge. On the day Junior got his first bowl of kibble, I promised him I would figure out what I did wrong and get him and Sulley back to the diet they were born to eat. Dip. Question. Repeat. Twice a day, every day. With every whiff of kibble, I became more and more sickened. Since Junior’s bout of lameness 8 months ago, I educated myself. I sought answers from raw feeding and breed experts and tapped into the plethora of raw feeding resources out there. I joined Raw Feeding Facebook Groups like Raw Feeding 101 – Learn To Feed Raw. I had countless conversations with Junior’s breeder, my veterinarian, and other trusted dog lovers in my life; not all of whom feed a raw food diet to their dogs. For the third and last time, I transitioned Sulley and Junior back to a 100% raw dog food diet. The day I ran out of kibble was the day I declared, “better now than never!” It was time for me to put my newly acquired knowledge into action on behalf of my best friends. 5 Reasons Why I Now Feed My Dogs Raw Food… Again. I don’t judge those who feel differently and I certainly understand those (especially big dog folks) that feel they don’t have an alternative to for economic reasons. For me though, kibble represented defeat. I felt as though every scoop of kibble mocked my ignorance and trepidation about raw feeding. And that only served to piss me off. And the fact that in 8 months I went through 6 brands of kibble in search of just one my dogs liked only solidified that kibble wasn’t right for my dogs either. 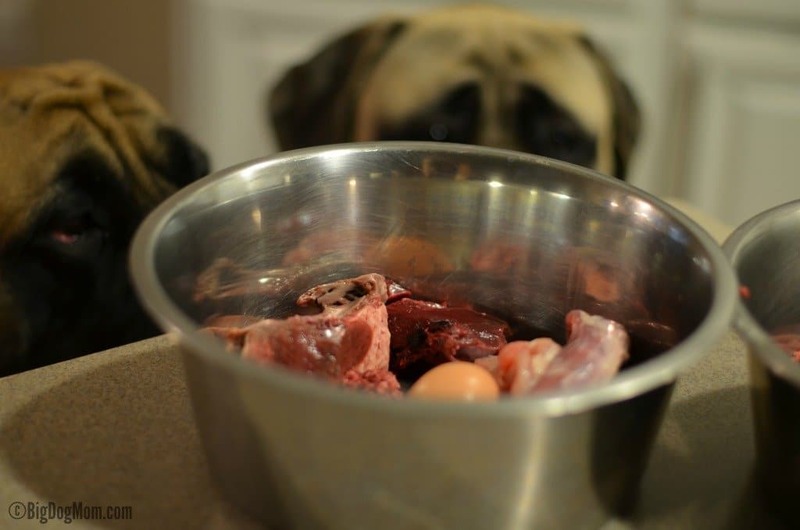 I felt as though every scoop of kibble mocked my ignorance and trepidation about raw feeding. 2. My Dogs LOVE Raw Food! Junior now whines as I weigh out his food, lovingly drooling at my feet. And when the bowls are ready, Sulley hops in circles barking at me to set the bowl down. These actions might seem ill-mannered and annoying to some, but for Big Dog Mom, they are a heartwarming and welcome sight that I get a kick out of. And BONUS – No toppers or goodies needed. Instead of using Primal Freeze Dried Raw as a topper to get my dogs to eat [READ: The Labrador Retriever May Hold Answers To Feeding Woes In Big Dogs], I can now use it to supplement when I travel or simply when I want to mix it up a little. In just three weeks I can already see small improvements in Junior’s and Sulley’s coat, teeth, and overall energy levels. Accurately assessing health and vitality will be a long-term, ongoing process, and I have full faith and confidence we will see a return on investment as time goes on. With respect to #2 (ha! ), I went from filling an empty 33 lb dog food bag halfway in a week’s time with 3-5 large, smelly stools a day per dog, to 1-2 tiny, relatively stink-free stools per day per dog. Living in the desert, hydration is something we take very seriously. Because their raw diet inherently contains significant amounts of water, Junior and Sulley want to drink less. On kibble they seemed to stay in a constant state of dehydration which resulted in them gulping and drinking large volumes of water at times. Now, I find myself having to encourage them to drink. A welcome change for a breed at risk of bloat. So, in three weeks’ time, my part time job as Poop Pile Picker and Water Bowl Wiper has been replaced with Meat Prep Momma. A welcome role for a weary back. 5. I Am In Control. I decide what goes into their bowl and what doesn’t. There will be no mystery meal, byproducts or cancerous preservatives in my dogs’ food. My dog’s raw food will be sourced from animals that are fit for human consumption, not 4D meat (dead, dying, diseased or disabled animals). I can add or subtract supplements as necessary while catering to each of my dog’s individual needs. As long as I continue to learn and grow as a raw feeder, I am confident in my ability to rise to this level of responsibility. I believe we all have an inner raw feeder that is desperately trying to come out. Whether you are prepared to take the plunge as I did, or you are more comfortable with raw food baby steps, the following are some terrific resources that I encourage you to check out. Real Dog: They make and deliver a monthly box of fresh species-appropriate treats and chews. **Tell them BIG DOG MOM sent you and you will get a FREE bag of TREATS in your first box! Keep The Tail Wagging ® Blog: Kimberly Gauthier has been a stalwart in the raw feeding community for many years. Her blog is packed with great raw food tips and tools and her big dogs are pretty cute too! A Novice’s Guide To Raw Feeding For Dogs: A good book by blogger and author, Kimberly Gauthier, for new AND experienced raw feeders. Dr. Karen Becker @MercolaHealthyPets. Her You Tube Channel has some terrific starter videos as well. Previous Post: « Big Dog Calluses: Are They Inevitable Or Preventable? Yay! Thank you so much, Shelby!!! Thank you, Paul! I can’t imagine having 6-10 dogs, so I understand. I have always believed something is better than nothing, so I think it’s wonderful you are giving your dogs some whole foods to supplement their diet. We did prey model for a while but it was too difficult with the limited freezer space and only having one tiny dog to feed. What am I going to do with 50 pounds of beef heart? Mr. N eats pre-made raw and he’s happy with that. Haha! The idea of 50 pounds of beef heart for tiny Mr. N is funny! I would consider a pre-made raw as well if I were in your shoes. So much easier! Surprisingly, for my big boys, the pre-made is the most expensive way to feed raw. Plus, I really like to put together something different everyday to keep my boys guessing. We feed ours semi-raw food, but I am curious to try the Primal freeze dried raw. 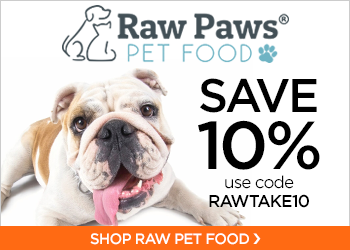 I think it will be agood segue to trying 100% raw food for our dog. Sulley and Junior liked Primal and it definitely helped with getting them to eat their kibble. I will say the very much preferred the frozen patties over the freeze dried when given the choice. I agree with you about Primal being an option as you switch to a 100% raw diet. Give it a try! That’s awesome, Michelle! I’m so happy to hear that! Thank you! This is a great article – well thought out and researched. I haven’t been able to switch my cats over to a raw diet yet, but it’s something I’m considering. Thank you so much! I took my time doing research, networking and asking questions so that the second time around I didn’t make any mistakes. That is not to say I will do everything perfectly, but I certainly have the foundation of knowledge I didn’t have before which I believe will pay off in the end. I know there are lots of cat folks on the Facebook pages I linked to so perhaps start following those as first step? This is such a great article. I love the balance and your openness regarding your own struggles. I think we all want to do what is best for our beloved furry family members and take on a lot of guilt when we are not able to accomplish what we know to be best. I appreciate the “rawness” (pun intended) of your emotions and struggle. I think we should all do what we feel is right and what we can cope with to help our dogs thrive. Kilo the Pug eats high end kibble with freeze dried raw boosts and occasional other wet food and home made and raw. He has been so healthy and happy with very manageable poop- he gets the kibble through the day as training treats and only has smaller meals as he is a greedy pug needing a lot of work. We both love food and I share occasionally and I refuse to feel guilty- we are so bonded after he went through 4 homes and lots of stress. My daughters are very susceptible to bacteria like salmonella so I do not want too much raw meat around. I am sure 100% raw works better for many, and I admire people caring and doing what works. Thank you, Susan! Yes, absolutely do NOT feel guilty. Kilo is getting a little bit of everything and couldn’t be a happier boy! A well thought out and researched post about raw feeding. I don’t feed my girls raw, but I like to read the research about its benefits. I know of several cat owners who feed raw with success. Thank you! Yes, on several of the Facebook groups I am in, there are quite a few cat folks on there. I think they are able to feed raw with as much success as us dog folks. I would so love to feed my bi girls raw but they refuse to eat it. I’ve wasted 15 pounds of different raw food for them and they still prefer science diet! Really? Are you trying a commercial raw or homemade (ground and/or whole raw meat)? In my experience the commercial raw foods are much more of a gamble. My dog’s have also been picky with those, so I don’t feed them anymore. I only ever used them to supplement anyway due to the cost. That said, perhaps you could try whole raw. Maybe continue with the kibble and offer the raw pieces as a treat initially. Then you can work up to no Science Diet and only raw over time. 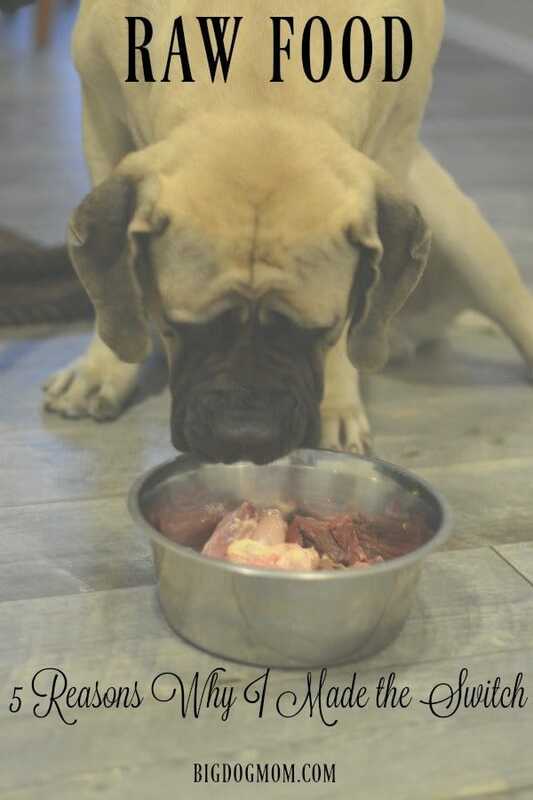 Some dogs look at the whole raw meat and look at you like you are crazy at first, but I haven’t seen many that don’t adapt very quickly to eating a fresh whole raw food diet and loving it! So glad that you were able to go back to a diet you feel strongly about and is beneficial to your dogs. I can only imagine the amount of drool in your house at dinner time!